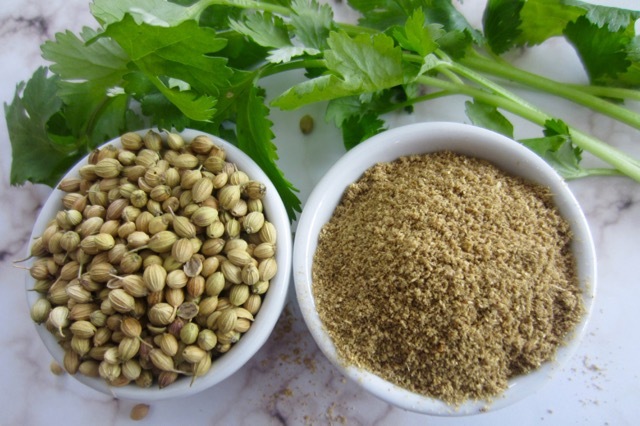 The so called coriander seeds are actually the dried fruits of the coriander (cilantro) herb. They are globular in shape, are either small (1.5-3mm) in diameter or large (3-5mm) in diameter. They are botanically called a schizocarp. All parts of the coriander herb are edible including the roots which are an important part of Thai cuisine. 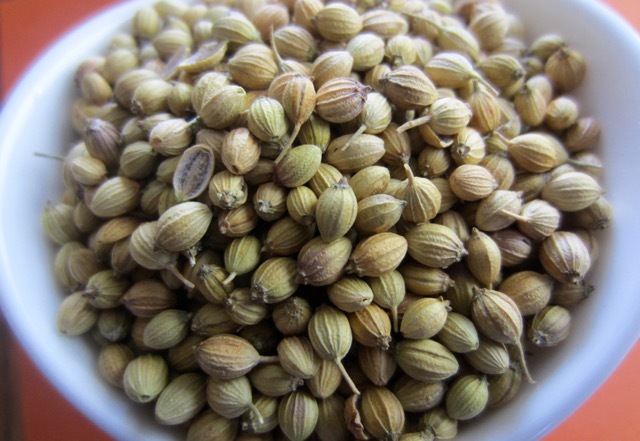 Coriander seeds are pungently spicy yet sweet and slightly fruity with a pleasant spicy aroma. They are used in cuisines, worldwide in whole or ground (powdered) form. 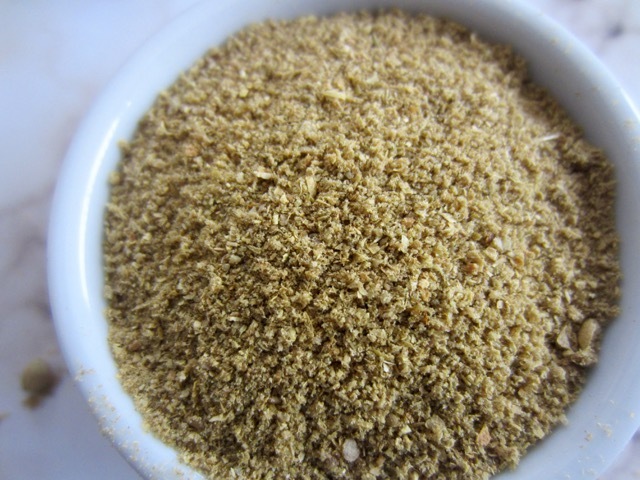 Ground coriander loses flavour in storage so is best roasted and ground or crushed, and used fresh. Roasting the seeds in a dry pan enhances flavour, aroma and pungency. Coriander can be used in sweet and savoury dishes like soups, curries, stews, roasts, casseroles, salad dressings, breads, cakes, or with poultry, meat, fish and pork. Ground coriander is a component of many different spice mixtures including garam masala, various curries, mixed spice, curry powder, dhana jeera, harissa and pilau masala. it can be added to chutneys or casseroles and can be used in cakes and other baked goodies. 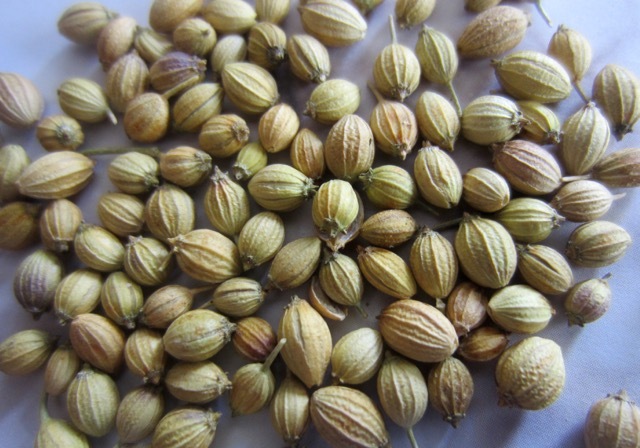 Coriander seeds are also widely used in pickling vegetables. They can also be added to savoury pickles. In Germany and South Africa they are used to spice Boerewors sausage. 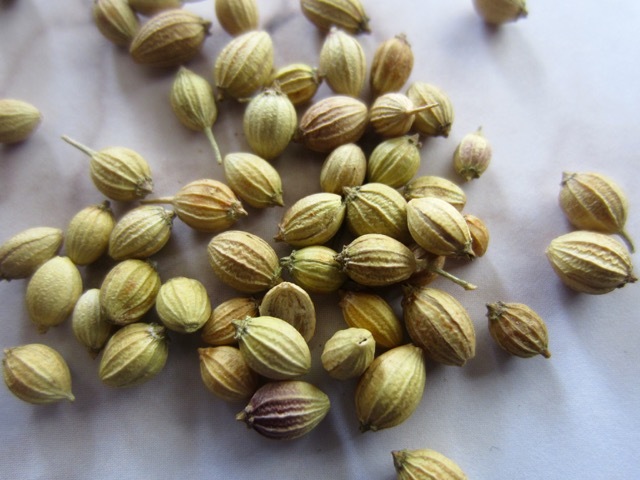 Crushed whole coriander seeds are delicious for flavouring homemade burgers. Next What is Ground Cardamom?